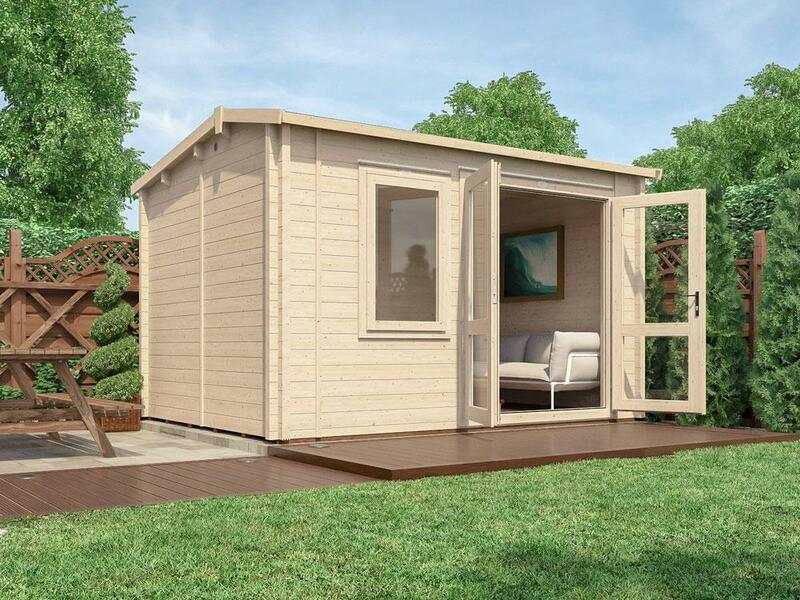 Our pressure treated sheds are constructed using a robust 35mm x 35mm frame and come with a 10mm MFP roof board that is a single panelized foldable item for a simplified construction. 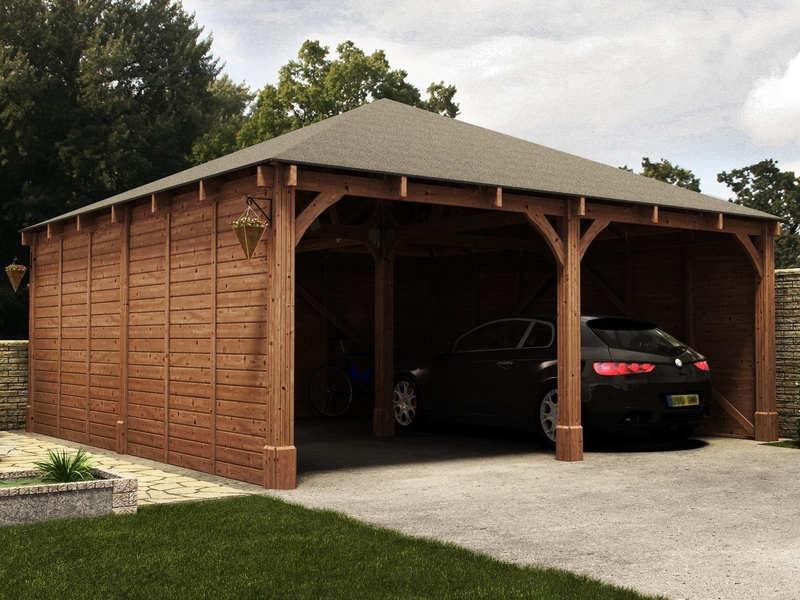 The walls are supplied in panels made using thick12.5mm tongue and grooved timber boards. 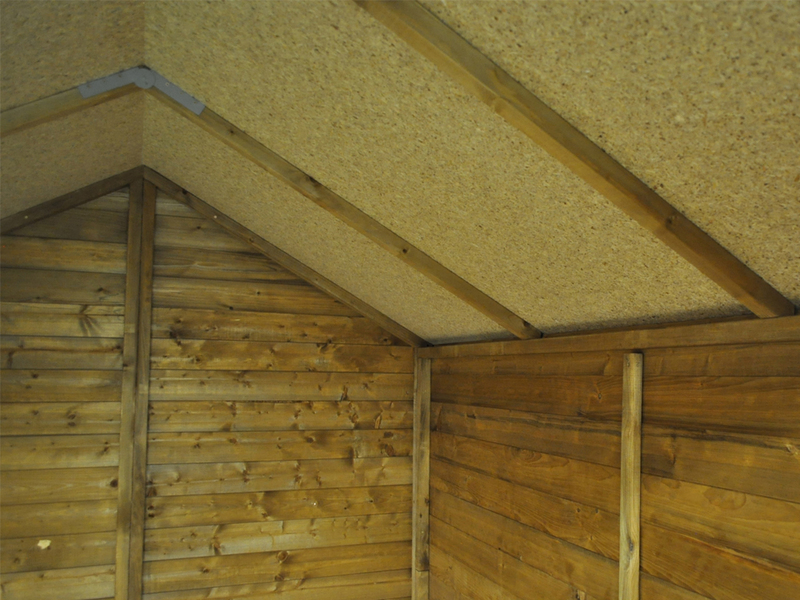 Unlike ‘pressure treated sheds’ from other suppliers ALL of the timber (except MFP panels) is pressure treated. 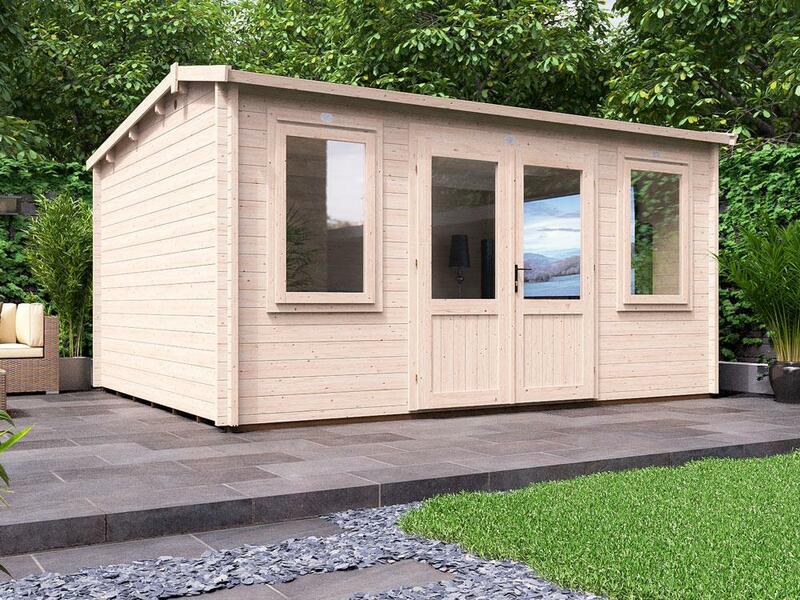 So with our sheds you don’t get a pressure treated exterior let down by untreated framework inside the shed. 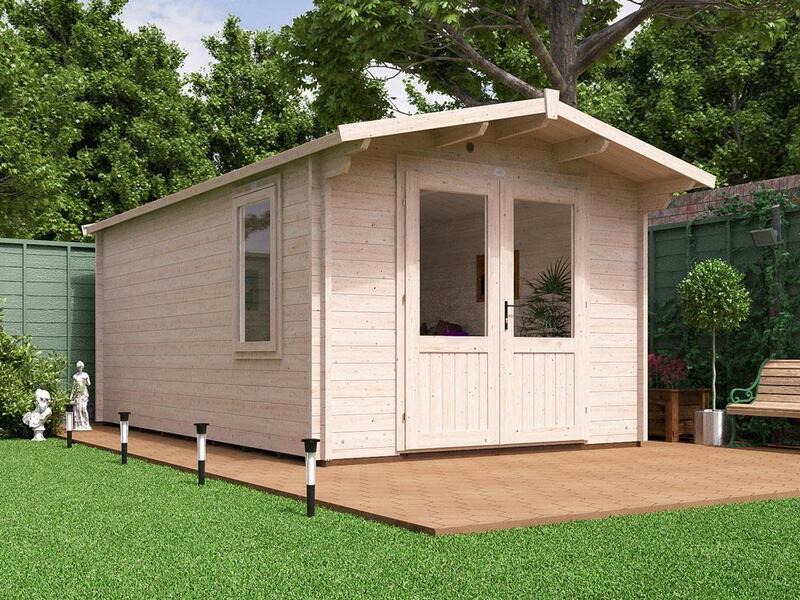 We also add a brown colourant during the pressure treatment process to give a more normal shed colour than the green pressure treatment others use, so the Adam shed has a natural look that will compliment your garden. 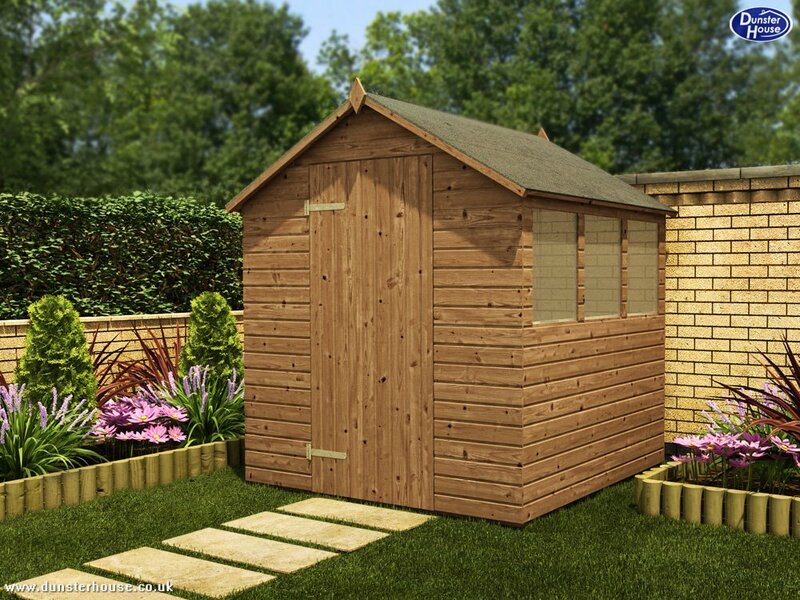 All of the timber which goes into manufacturing our sheds is pressure treated, after being cut to size. 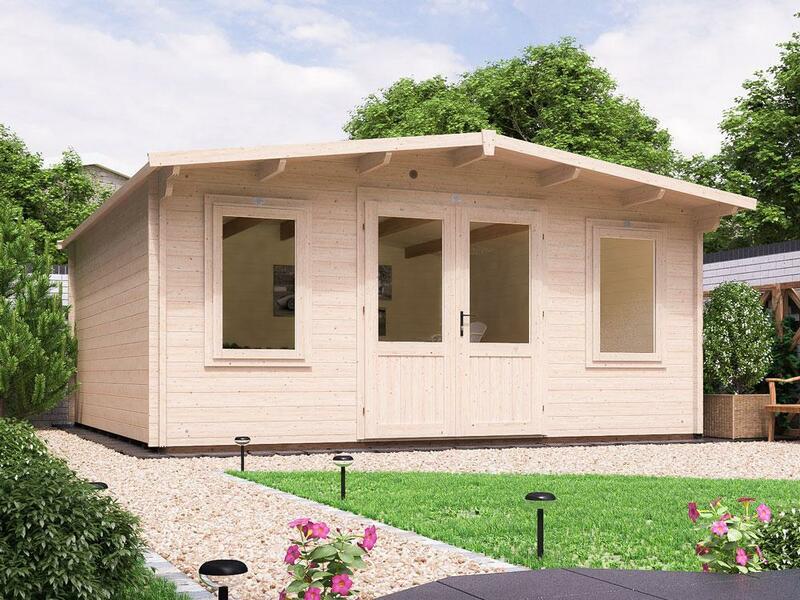 This is to ensure that all pieces of timber used to construct your shed are fully treated and does not leave the cut ends without protection, which is what happens if the pressure treatment process is carried out before the timber is cut to size. 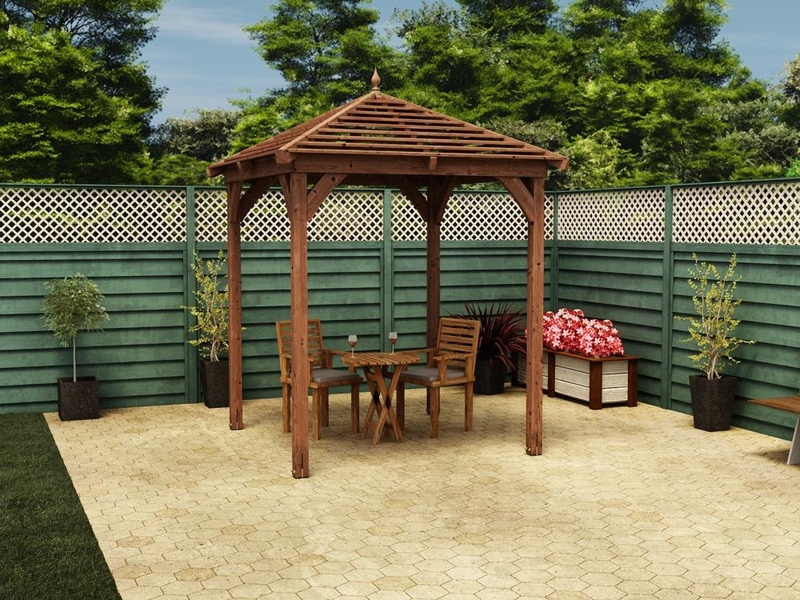 This is how the majority of other suppliers work as they don’t have their own pressure treatment plant and instead buy in pre-treated long lengths of timber that they then cut down to size, which leaves you with untreated ends that are not protected by the treatment. 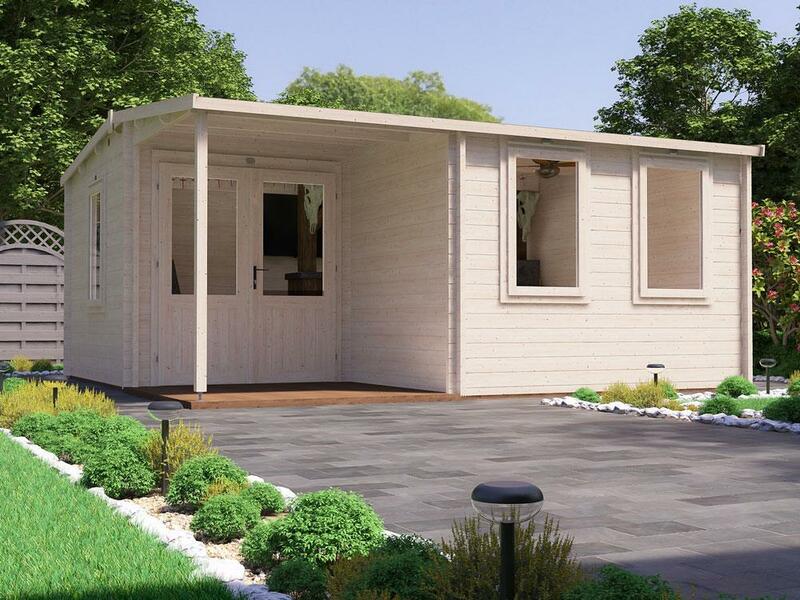 Our pressure treatment process allows us to provide a 10 year timber guarantee against rot and insect infestation for all of the timber (except MFP panels). 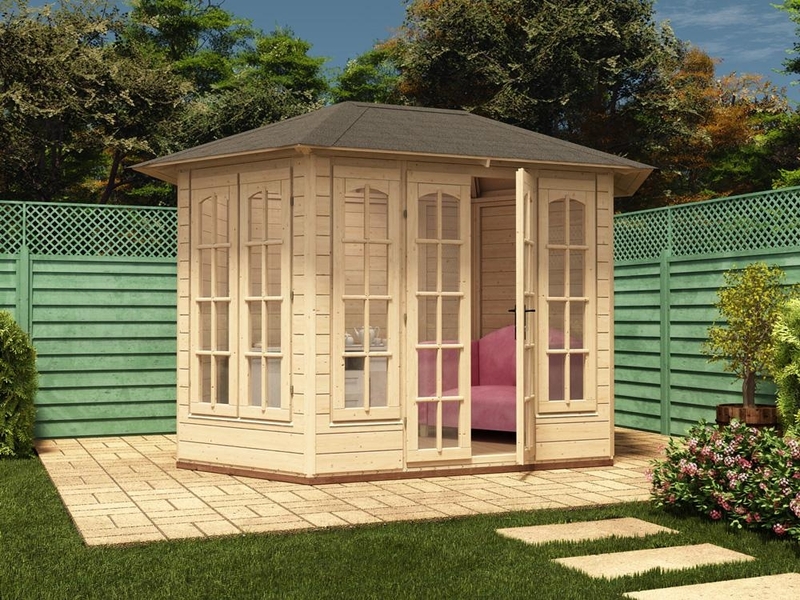 Each shed window is made from 4mm thick glass, making our windows more durable than the standard 3mm horticultural glass or Perspex. 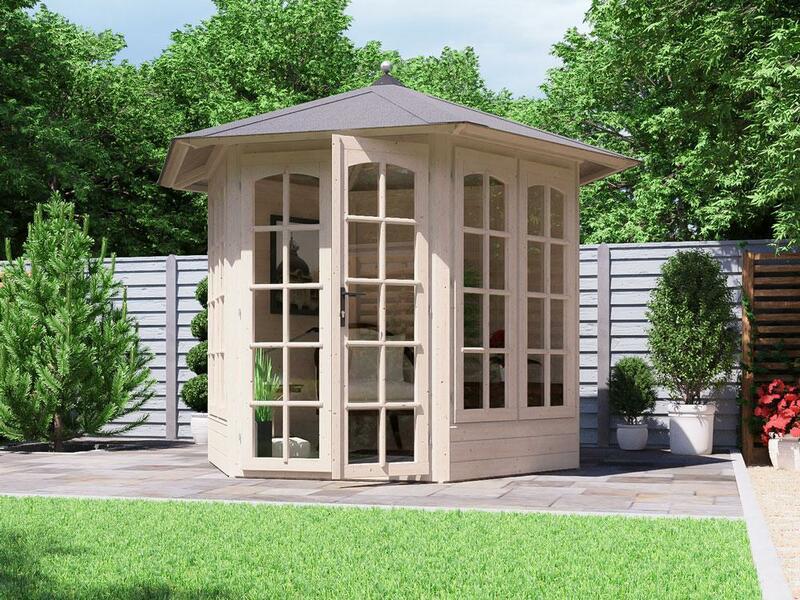 Our windows are internally beaded, preventing the windows from being easily removed from the outside. 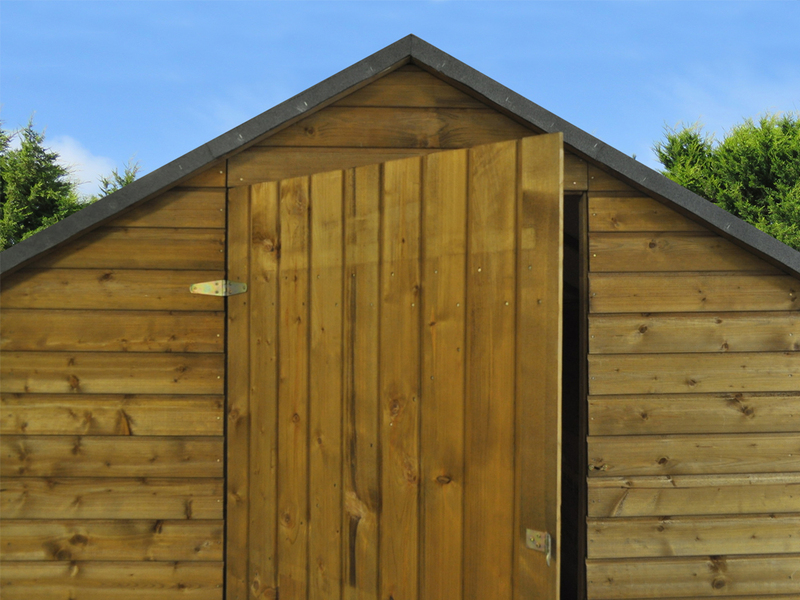 We've made sure that our sheds are secure, weatherproof and strong enough to last the test of time. 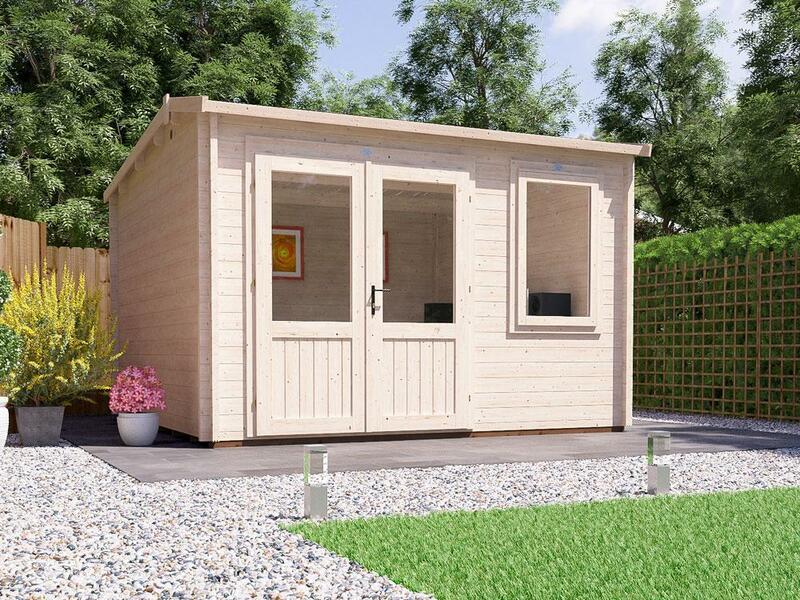 Since sheds are predominantly used for storage we have made sure that almost all of your storage needs can be met with the height of the shed. 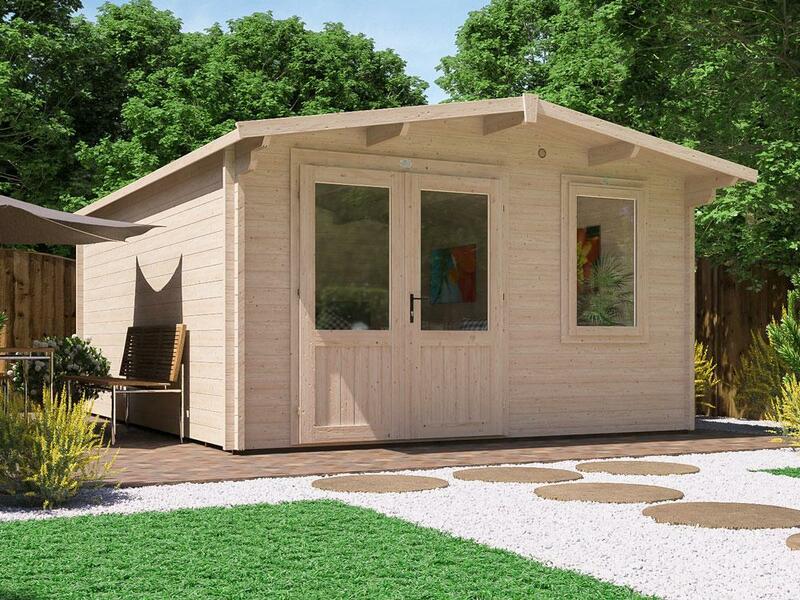 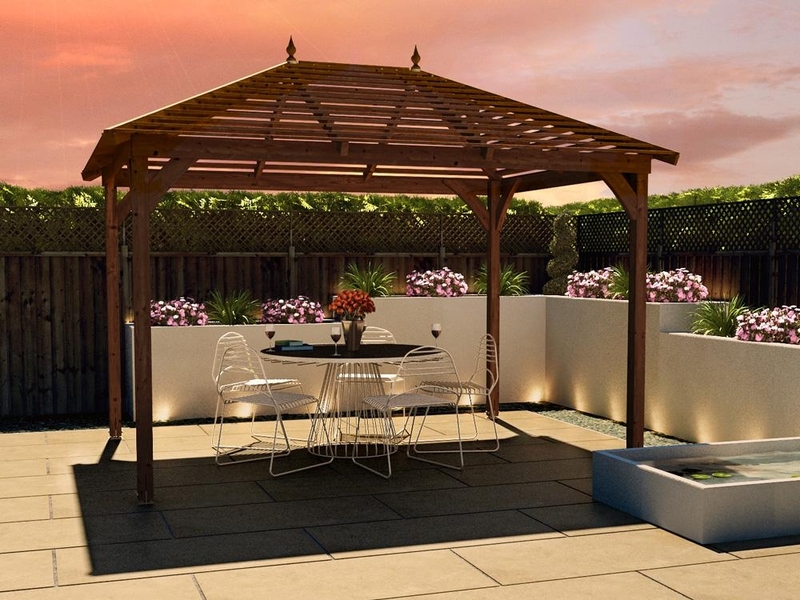 Just under 2.5m high, so you don't need to worry about planning permission, our largest shed features internal eaves that are 1.87m/6'1’, ensuring plenty of room to store your gardening and DIY equipment.